Enlightened leaders inspire others to share their gifts and abilities in meaningful roles in the life of the ministry and in service to the community. They serve as coaches and mentors as they inspire, guide and support people to find and respond to their inner call to serve and take action. 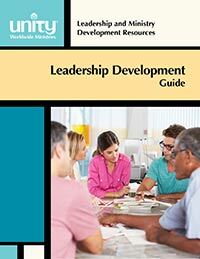 This guide shares how to identify potential leaders and then develop, and coach them for success.